The Week 6 task for the #ScrippsSummerChallenge was to get coffee with a PR professional or PR professor and pick their brain on the industry. Unfortunately, no members participated in the challenge this week. 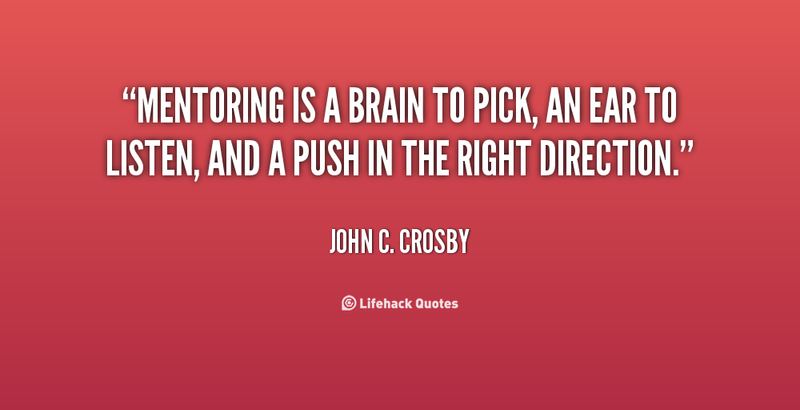 Instead of the usual recap, here are 4 reasons why having a mentor is beneficial during your college years! Gain first hand knowledge from an experienced professional in the industry you want to work in- this gives you a leg up professionally on what you are interested in. Not only do you have someone who can introduce you to a career path or professional opportunity, but also having a mentor is completely free. Growing your professional network- the more people you know, the better your chances are at succeeding in the real world. Your mentor can introduce you to his career as well as his or her many connections. It’s all about the people you know this day in age! Receive valuable advice on how to navigate your college career– learning about the mistakes your mentor made can save you from repeating the same ones yourself. Also, hearing about his or her positive experiences in college can inspire you to get involved with opportunities offered on campus. Having support from an unbiased third party– a mentor won’t sugarcoat the steps you need to take in order to get to where you want to be. Hearing from a person who is not your parents or your friends can actually help you listen more to what they have to say. Also, he or she can notice potential in you that you might not have seen before, and ultimately help you on your career path. Whether it is a professor at OU or a professional you met at one of PRSSA’s chapter meetings, there are copious amounts of mentors available. Don’t hesitate to reach out for guidance! Only two challenges remain for the #ScrippsSummerChallenge! REMEMBER: the two members with the highest participation throughout the #ScrippsSummerChallenge will win either 50% off their next spirit jersey or a PRSSA Tervis Tumbler.